This is an excellent short hole. As often with Braid's short holes nearly all the trouble is at the front. The green is undulating, and depending on pin placement there are swingy single and double borrows. 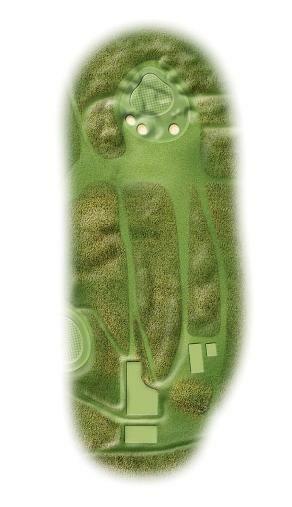 It may well be that on leaving the green you will be giving the course back the shot gained at the fourth.